I have 2 Summer in the Garden hairsticks available at £9.00 each. 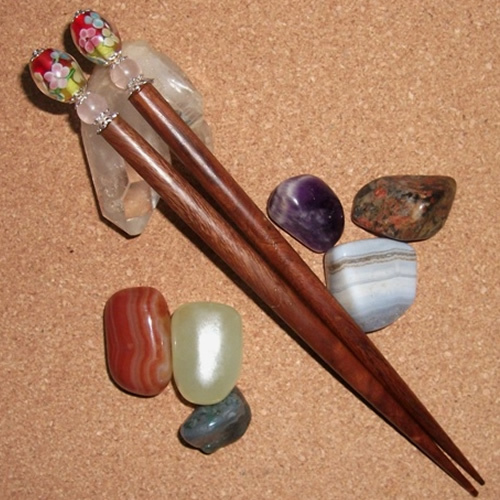 Each of these teak hair sticks have been treated with Tung Oil and finished with Beeswax polish to both protect and bring out the beauty of the wood. 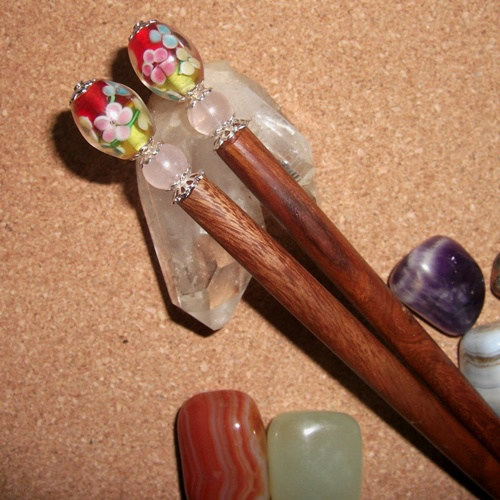 These sticks has been topped with very pretty floral glass beads in a mix of beautiful summer colours. The focal bead sits on top of a small rose crystal bead with silver coloured findings. 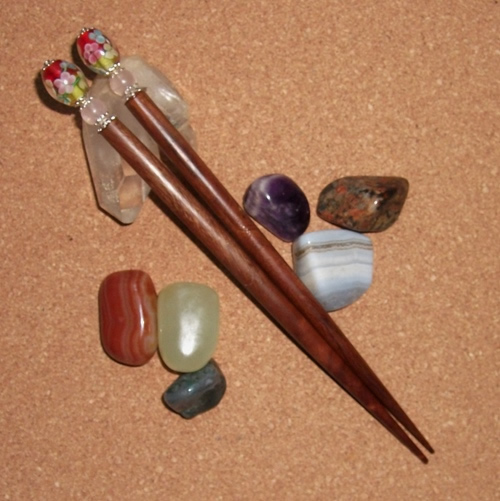 These sticks can be shortened if the useable length is to long for you. Please ask and I would be happy to do this. Free postage and packing to the UK.